Dr Tom began his chiropractic journey at age 4 thanks to mum. Tom hails from the beautiful Sunshine Coast in Australia, where his chiropractic journey started as a 4-year old child as his mum knew that a nervous system functioning at its best is necessary for a growing child. Tom also noticed that being regularly checked helped him perform better in sports. 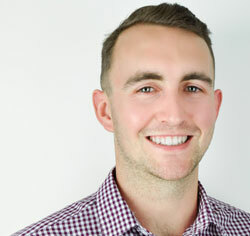 Tom never knew his growing up with chiropractic care would lead him into the profession but surely enough it did and in 2013 he left the comforts of home for study at the prestigious New Zealand College of Chiropractic. During his experience, Tom discovered the value of body functioning at its best and has seen first hand the power of chiropractic in how it can change people’s lives. He enjoys serving people with chiropractic care as he enjoys caring, supporting, helping and sharing the love with people. Tom’s mission is to care for, help and inspire people of all ages to reach their optimal potential to live a life they love. Contact us to make an appointment with our friendly team!